Here’s a very simple project that any beginner can do. 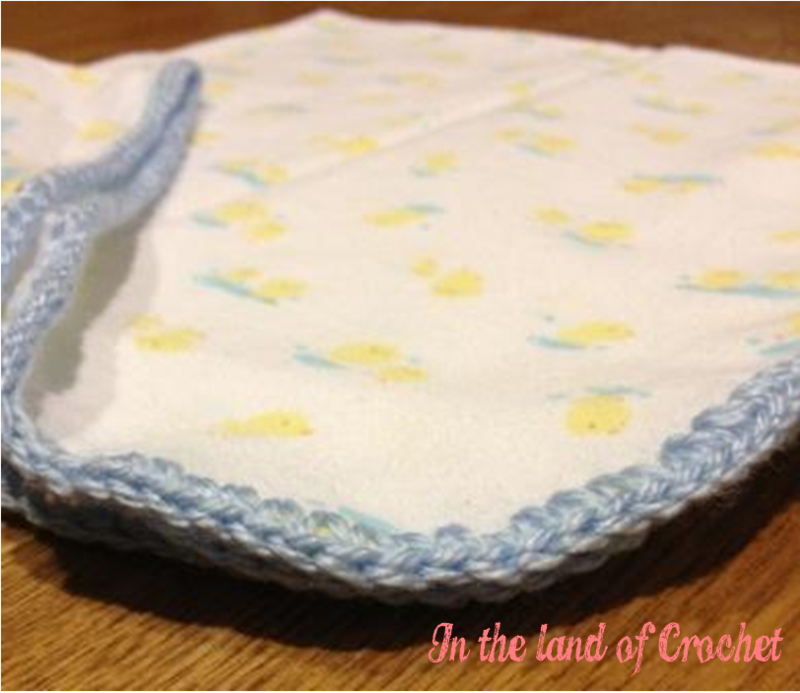 You can take any plain and ordinary blanket and simply crochet around the edges. The end up result is a finished project with a gorgeous border. You don’t need to know any fancy stitches — a single crochet or double crochet stitch will do. The best part: not only will you be making something unique and special, you’ll also be doing it in a fraction of the time it would take to make an all-yarn blanket (perfect for a last-minute baby shower gift). You’ll want to start off by laying the blanket on a flat surface. Next, you’ll place the ruler on top of the blanket and mark even points – these will be where you’ll insert your hook for your stitches. For this project, I marked at every centimeter. If you have a nifty rotary stitch piercer (which I don’t), you can just run the blade along side the ruler. 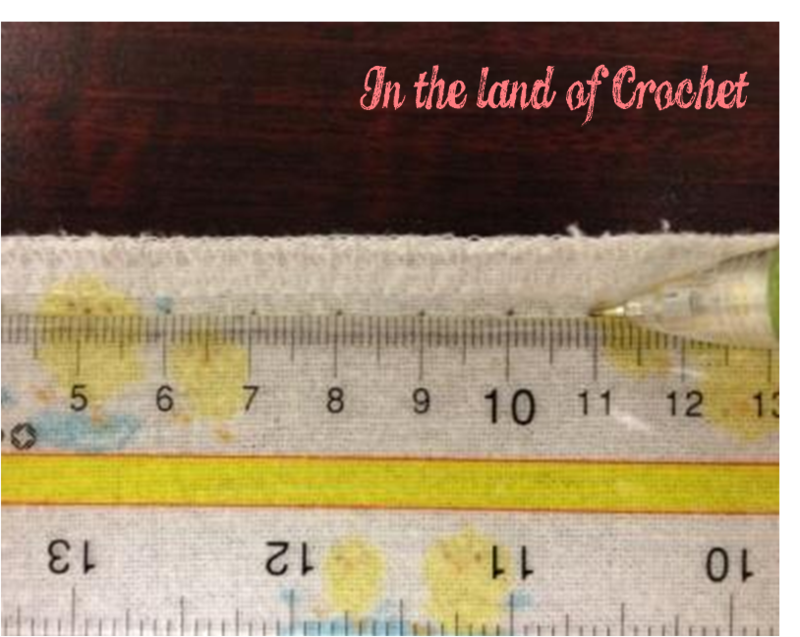 This will definitely allow you to more easily insert the crochet hook and make your stitches; plus, because the holes will be evenly pierced, you don’t have to worry about measuring and marking. Next, you’ll insert your hook into any of the stitch marks, pierce through, yarn over and pull the yarn through to the front of your work. You’ll yarn over once more and complete your first single crochet stitch; repeat until you get to your first corner. On the corners, you’ll want to stitch up to two single crochet stitches per stitch mark – this will allow for the stitches to look like they are curving around the corner. Once you’ve gone all the way round, you can either cut the yarn and bind off or you can continue with a second row. For ideas on edgings, you can visit CrochetPatternCentral.com. Any other ideas for things that could use a crochet edging? Let me know in the comments section below!